If you are looking to make improvements to the exterior of your home then one of the most beneficial solutions is to ensure that a clearly defined boundary is present. This will ensure that unwanted visitors are kept away and will also have the added benefit of creating an aesthetically pleasing appearance. Garden fencing will play a large part in the overall look of your garden and as such careful consideration should be taken when selecting the most appropriate material and design. 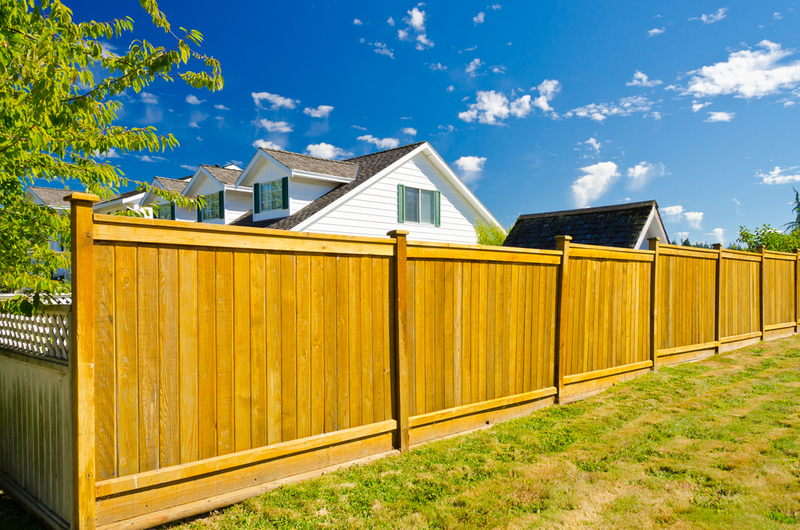 When looking to install new fencing, there are two options available to the homeowner depending upon the available budget and level of competency in terms of DIY. For DIY installations, the best place to source the materials required is online. This is because online companies offer a much wider range of products than local companies with the most popular detailed below. This type of fencing system is a cost effective and affordable way of providing security and privacy to your garden. Generally supplied in 6ft x 6ft panels, they simply slot in between concrete posts that are concreted into the ground at the correct intervals. The benefit of this type of system is that it is quick to erect and fairly lightweight making installation suitable for DIY enthusiasts and can be painted or stained to a suitable colour that ties in with your gardens design scheme. The drawback to this kind of fencing is that it will often become damaged by high winds because of the solid panel design. Generally, picket fences are installed to the front of the home in instances where there is a garden at the front. Offering charm and character, the addition of a picket fence will not necessarily add much security but will look stunning in the right setting. This kind of fencing is constructed from vertical timber boards fitted to horizontal cross rails which are in turn supported by timber posts set into the ground. To enable the wind to pass through the fence, alternate boards are left out hence the name “hit and miss”. Whilst this kind of fencing is a great alternative to the traditional solid wooden fence panel, it is very labour intensive as all the parts must be cut to length on site and fixed together individually. Costing far in excess of the above two fencing solutions, metal fencing will create a unique look to your home. Available in a vast array of designs ranging from simplistic vertical bars, right through to fencing that features ornate and decorative scroll work. The major benefits of install metal fencing is that it much stronger than timber and will therefore provide higher levels of security, requires less maintenance and can be made in many designs that are simply not an option for timber. The only slight drawback to metal fencing is that it offers little in the way of privacy. In conclusion, regardless of the type of system you opt for, a well designed fence will add a real design statement to your home and garden, increase levels of security and make the outdoor space of your property more private.